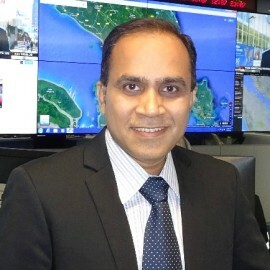 Ramesh Munamarty is the Group Chief Information Officer for International SOS and is based in Singapore. International SOS is the world’s leading Medical and Travel security Assistance Company and is in the business of saving and protecting lives from more than 1000 locations in 90+ countries. He has more than 25 years of experience in Information Technology. Prior to this role, he was the Global Chief Information Officer for Verint Systems, a global leader in Enterprise and Security Intelligence. He has received several industry recognitions and was a finalist for both the Georgia CIO of the Year 2015 and the ATP CIO of the Year 2015. Mr. Munamarty’s past leadership roles included being a Principal/Partner in Capgemini and a Senior Director in Oracle Cloud Services. He has also served on several boards including the Metro Atlanta Chamber of Commerce and Alpharetta Technology Commission. He chaired the Oracle High Tech Strategy Council and was an active member in the community helping non-profit organizations. He has dual Masters - MS in Engineering from University of Maryland and an MBA in International Business from Georgia State University and several certifications including CISSP, PMP, CPIM, ITSM and Six Sigma (GB).